Gather family and friends and enjoy a special Christmas meal together. 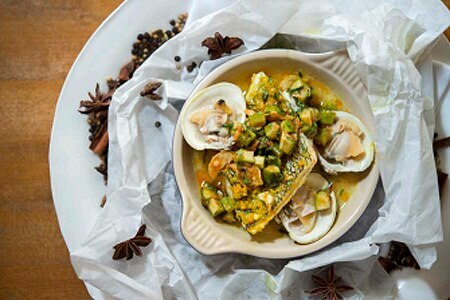 From Italian-inspired “Feast of the Seven Fishes” dinners on Christmas Eve to a holiday carolers brunch on Christmas Day, here are GAYOT’s Top Christmas Restaurants in New York, presented in alphabetical order. Flatiron District, NYC For a vegetable-forward take on a Christmas Day feast, look to this Jean-Georges Vongerichten restaurant in the ABC Carpet & Home building. 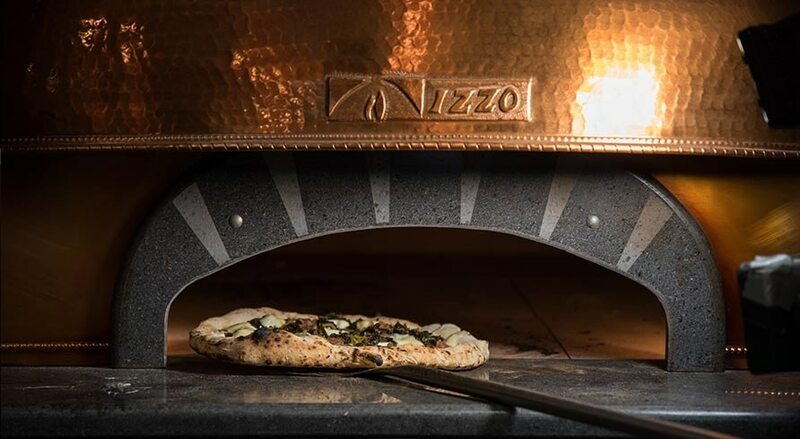 The four-course menu ($98 per person) starts with a choice like green chickpea hummus and gives way to dishes such as fire-roasted white yam, and bucatini with artichoke and spigarello. Midtown West, NYC Chef Michael White’s Ai Fiori honors the Italian tradition of the “Feast of the Seven Fishes” with a special menu available on Christmas Eve for $208. 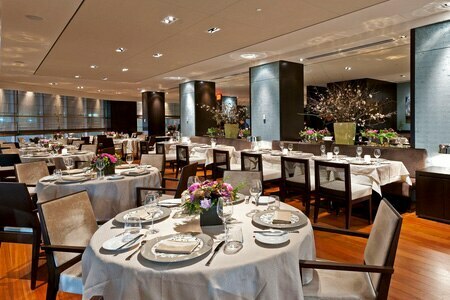 A four-course prix-fixe menu ($150) and a seven-course tasting menu ($250) will be offered on Christmas Day. RESERVE NOW! 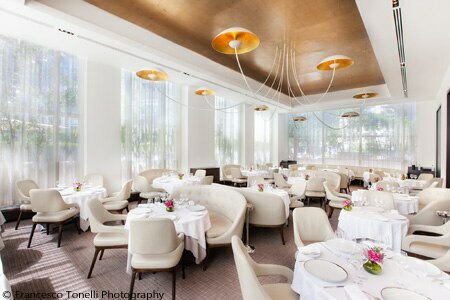 Midtown West, NYC Aureole is offering a special three-course dinner on Christmas Eve ($145 per guest, $55 child) with choices such as Wagyu beef carpaccio; venison loin, celery purée and pommes Dauphine; and bûche de noël. RESERVE NOW! 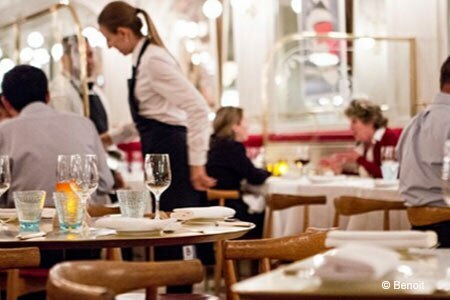 Celebrate Christmas Day amid the bustling atmosphere of Balthazar Restaurant. A prime rib special will be offered from 11 a.m. until the restaurant closes. RESERVE NOW! 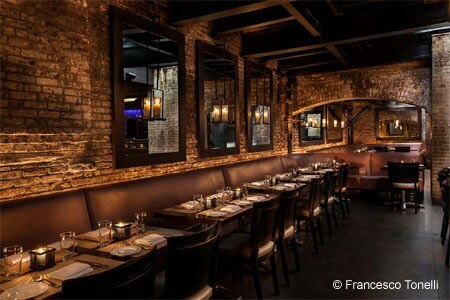 This Midtown East steakhouse will offer a prix-fixe menu for $79 per person on Christmas Day. 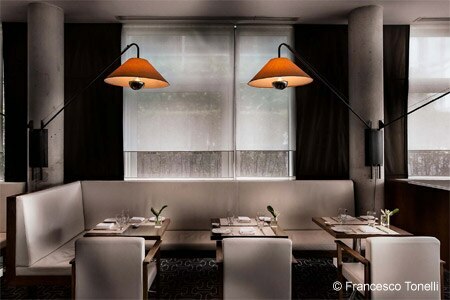 The restaurant’s interior, full of sumptuous wood and leather, is warm and masculine. RESERVE NOW! Midtown West, NYC At Alain Ducasse’s casual and elegant Midtown bistro, a special prix-fixe menu ($95) will be offered to diners on Christmas Eve and Christmas Day. Indulge in sunchoke velouté, crispy veal sweetbread and white truffle, along with seared Maine sea scallops and chocolate and bergamot tea yule log. RESERVE NOW! 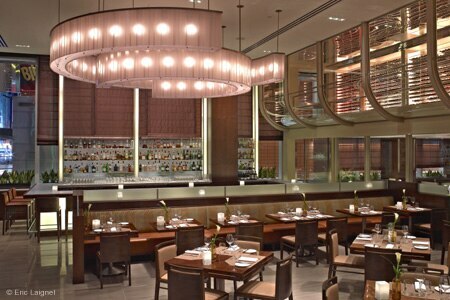 Café Boulud presents a menu anchored in French and American cuisine but drawing on a world of culinary destinations. 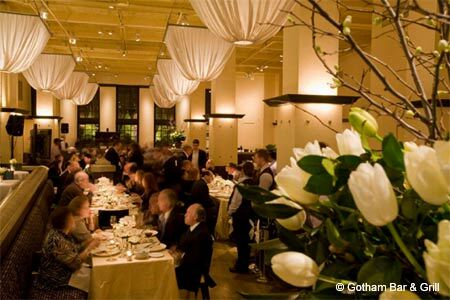 This Upper East Side restaurant will offer a four-course prix-fixe menu on Christmas Eve ($175). 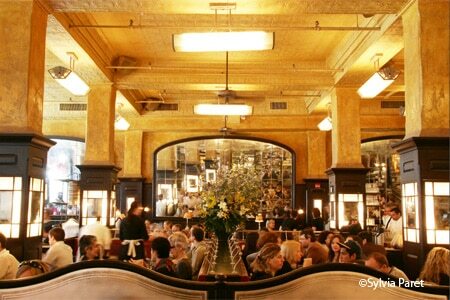 Expect choices such as wild game pâté en croûte, bacon-wrapped trout and quince babka. RESERVE NOW! Midtown West, NYC Charlie Palmer Steak at the Archer New York hotel is the setting for Christmas Eve and Christmas Day dining, as holiday guests will encounter a special menu ($90 per person, $35 for children under 12). Look for choices such as celery root agnolotti, dry-aged rib-eye with Yukon Gold potato purée, and peppermint chocolate cake. RESERVE NOW! Flatiron District, NYC The Clocktower at The New York EDITION will offer a prix-fixe menu from noon-9 p.m. on Christmas Day ($85 per person, additional $55 for wine pairing). Among the dishes will be Santa Barbara uni, roasted Long Island duck, and chocolate gâteaux. 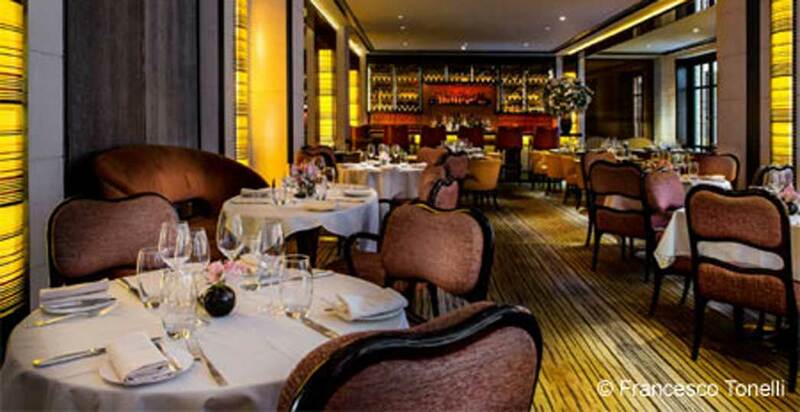 The restaurant will offer its à la carte menu on Christmas Eve. RESERVE NOW! 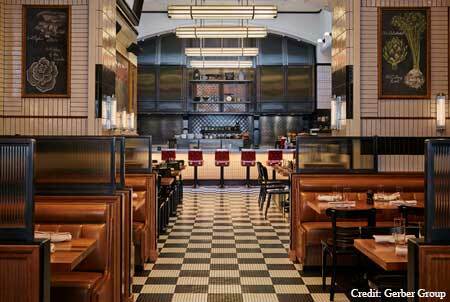 Christmas Day dining gets a Gallic twist at Dirty French on the Lower East Side. 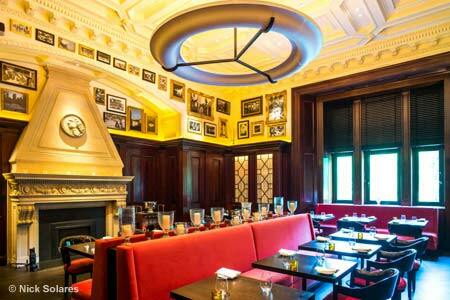 Among the options on the December 25 menu ($98) are tuna tartare, steak frites and opera cake. An à la carte menu will offered on Christmas Eve. RESERVE NOW! Midtown East, NYC Fig & Olive in Midtown East celebrates Christmas Eve with a four-course prix-fixe dinner menu ($72) with choices like hamachi crudo and balsamic glazed short rib. 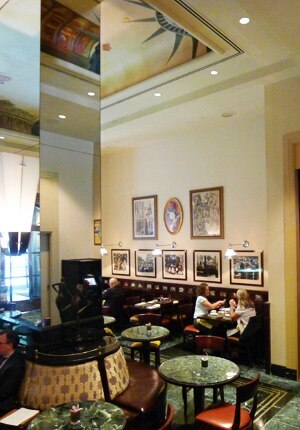 Châteaubriand for two and a limited à la carte menu will also be available. RESERVE NOW! 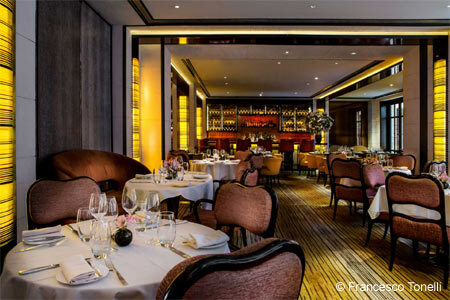 At Gaby Brasserie Française at Sofitel New York, the Christmas Eve three-course menu ($105 per person) includes a welcome glass of Moët & Chandon along with dishes such as pomegranate duck breast. Enjoy a buffet on Christmas Day ($115 per adult, $45 per child) that will include prime beef tenderloin, winter root vegetable risotto and more. RESERVE NOW! 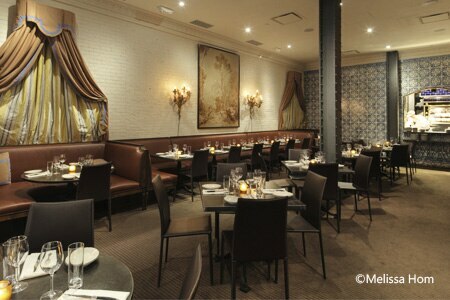 West Village, NYC In the West Village, Gotham Bar & Grill will offer a prix-fixe menu on Christmas Eve ($135) that kicks off with parsnip velouté with smoked trout and golden trout roe before presenting choices ranging from pumpkin tortellini to dry-aged New York steak. Bûche de noël cake (either vanilla or chocolate) is among the desserts. RESERVE NOW! Looking to splurge this Christmas? 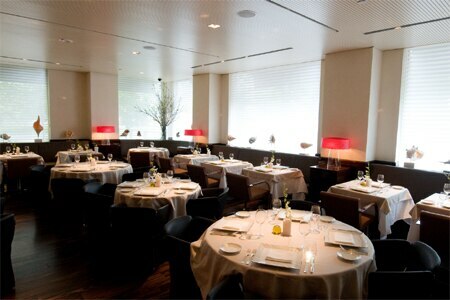 Jean-Georges Vongerichten’s fine dining restaurant on the Upper West Side will present three options for lunch and dinner on Christmas Eve and Christmas Day: prix-fixe menu ($168), Jean-Georges tasting menu ($258) and a Christmas tasting menu ($268). RESERVE NOW! 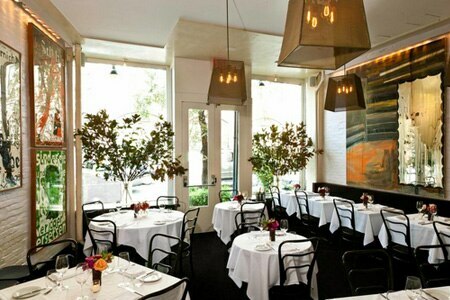 Upper East Side, NYC JoJo on the Upper East Side offers farm-to-table fare from chef Jean-Georges Vongerichten. 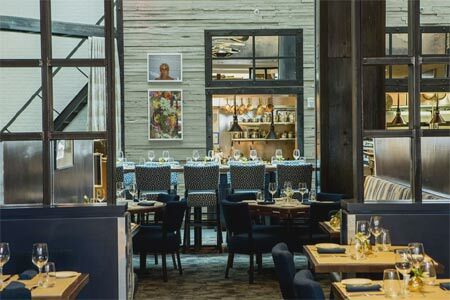 Among the dishes on Christmas Day’s three-course prix-fixe menu ($108) are potato and goat cheese terrine, sautéed black sea bass, and citrus Pavlova. RESERVE NOW! Midtown West, NYC At Viceroy New York, Kingside will offer Christmas Eve and Christmas Day diners a number of holiday specials, including cast iron seared foie gras ($18), Prime rib-eye for two ($68), and Anjou pear and almond tart with zabaglione gelato ($12). RESERVE NOW! At The Lambs Club, holiday carolers serenade diners at brunch on Saturdays in December and for Christmas Eve and Christmas Day brunch ($68 per person, $35 for children 12 and under). The meal includes traditional brunch food and hot chocolate with house-made toppings. In addition, the carolers perform at the restaurant’s Sunday Suppers in December and the Christmas Eve and Christmas Day three-course prix-fixe dinners ($95 per person, $50 for children under 12). RESERVE NOW! Gnochetti with Atlantic shrimp, pan-roasted veal chop and ricotta doughnuts are among the choices on Marea’s four-course Christmas Day menu ($175). RESERVE NOW! 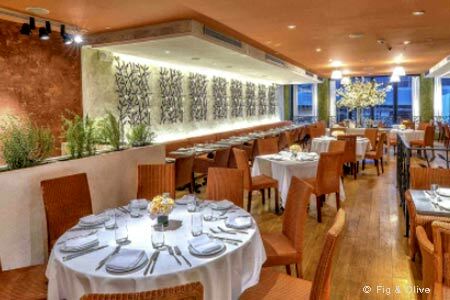 Upper East Side, NYC Chef Jean-Georges Vongerichten’s relaxed Upper East Side restaurant will host diners on Christmas Eve and Christmas Day. 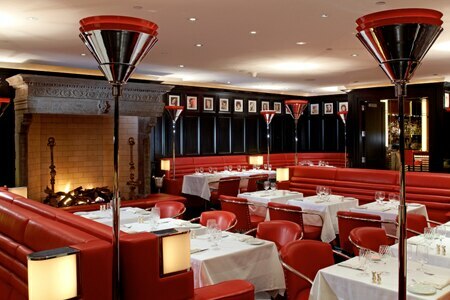 Following an amuse-bouche of tuna tartare, caviar and brioche, guests will choose from dishes such as butternut squash soup with white truffle, and Maine lobster, Meyer lemon risotto and basil ($175). RESERVE NOW! 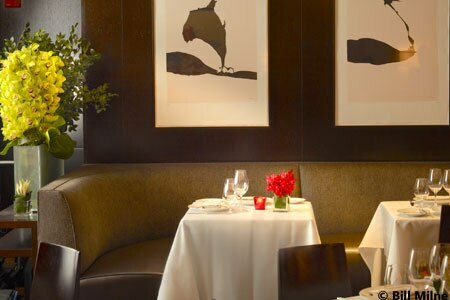 Chef Jean-Georges Vongerichten’s restaurant in The Mercer hotel celebrates Christmas Day with a special three-course prix-fixe menu ($98 per person). Among the choices: chicken and coconut soup, peekytoe crab cake, and grilled organic lamb chops with sweet potato mash and smoked chili glaze. RESERVE NOW! 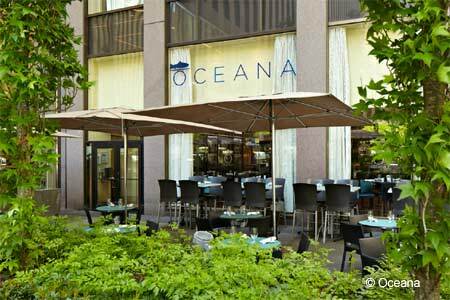 This Midtown eatery offers notable fruits of the sea in a spacious setting. Tuna carpaccio and crispy striped bass are only two of the dishes on Christmas Eve’s Feast of the Seven Fishes menu ($95 per person). RESERVE NOW! West Village, NYC This West Village restaurant from Jean-Georges Vongerichten will offer a three-course prix-fixe menu on Christmas Day ($118). Holiday diners will choose from dishes such as rice cracker crusted tuna, grilled lamb chops and warm caramelized apple pie. RESERVE NOW! Upper East Side, NYC Dine à la carte on Christmas Eve and Christmas Day at this French rotisserie-centric restaurant on the Upper East Side. 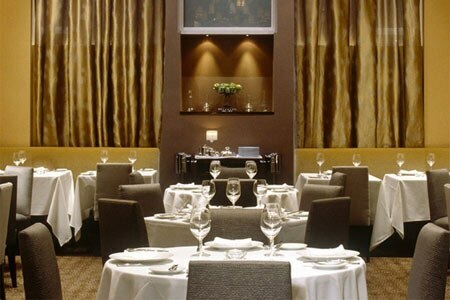 Enjoy salmon tartare, black truffle roasted chicken with pomme purée and more amid a holiday atmosphere. RESERVE NOW! 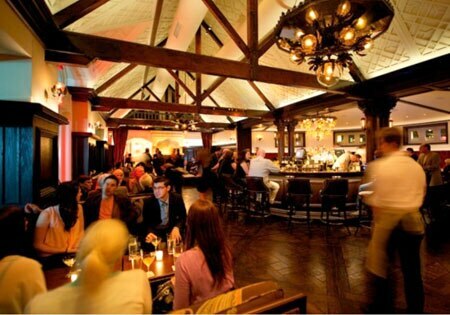 Admire the holiday decorations at New York’s iconic Tavern on the Green. 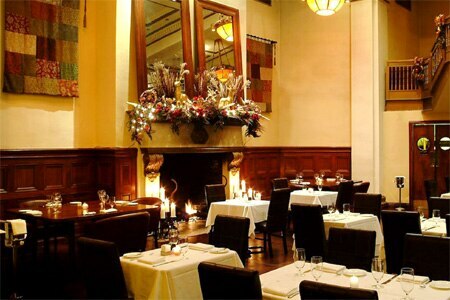 The Christmas prix-fixe menu ($125) presents a number of choices, including an appetizer of wild mushroom gnocchi, a main course of slow-roasted beef tenderloin, and spiced eggnog crème brûlée for dessert. RESERVE NOW! Tocqueville’s Christmas Eve and Christmas Day three-course prix-fixe menu ($125) includes choices such as forest mushroom risotto, Moroccan spiced braised lamb shank, and English sticky date pudding with crème Chantilly. RESERVE NOW! 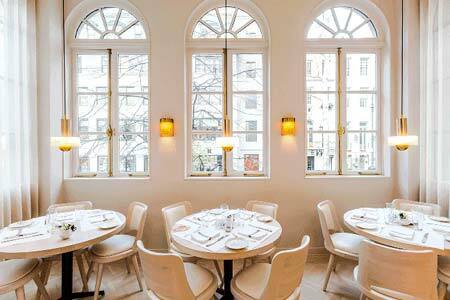 Experience a taste of Austrian chef Kurt Gutenbrunner’s homeland with the prix-fixe menu ($185) available on Christmas Day at Wallsé in the West Village. Wiener schnitzel and Christmas goose are just a couple of the choices. RESERVE NOW!